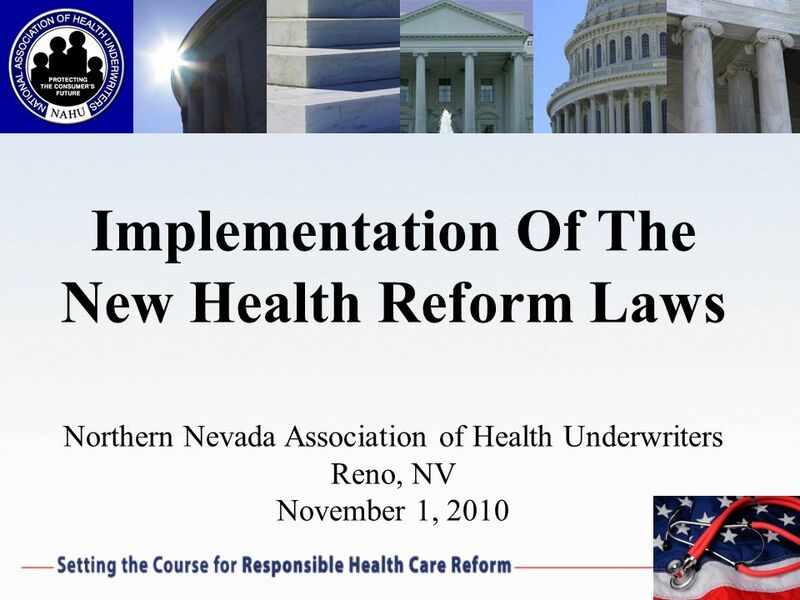 Implementation Of The New Health Reform Laws Northern Nevada Association of Health Underwriters Reno, NV November 1, 2010. 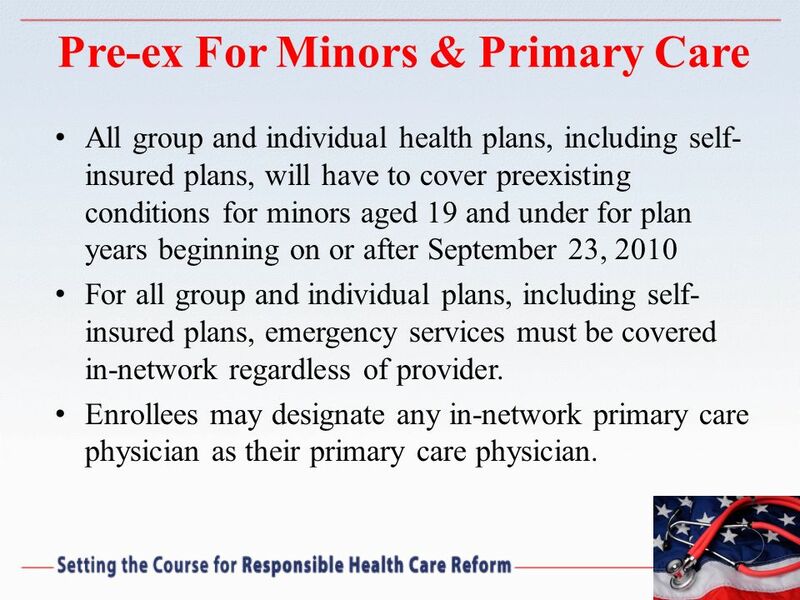 All group and individual health plans, including self-insured plans, will have to cover preexisting conditions for minors aged 19 and under for plan years beginning on or after September 23, 2010 For all group and individual plans, including self-insured plans, emergency services must be covered in-network regardless of provider. 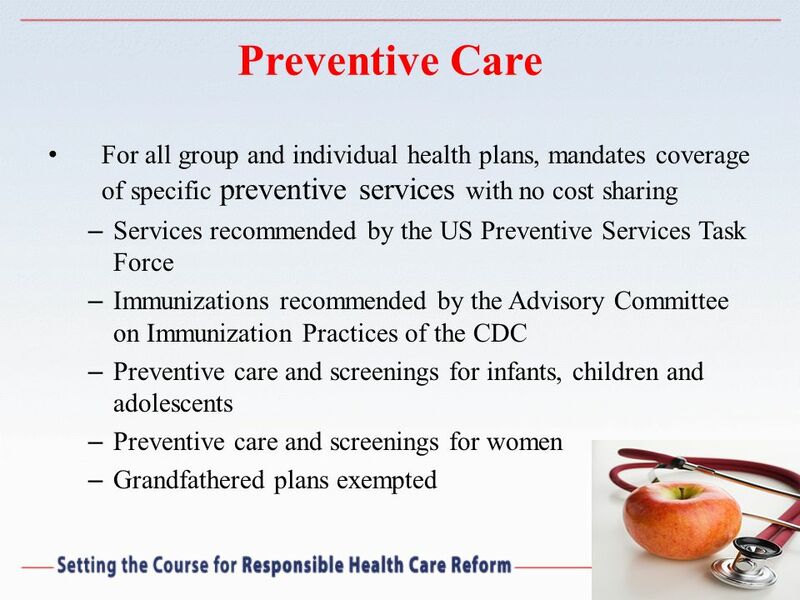 Enrollees may designate any in-network primary care physician as their primary care physician. 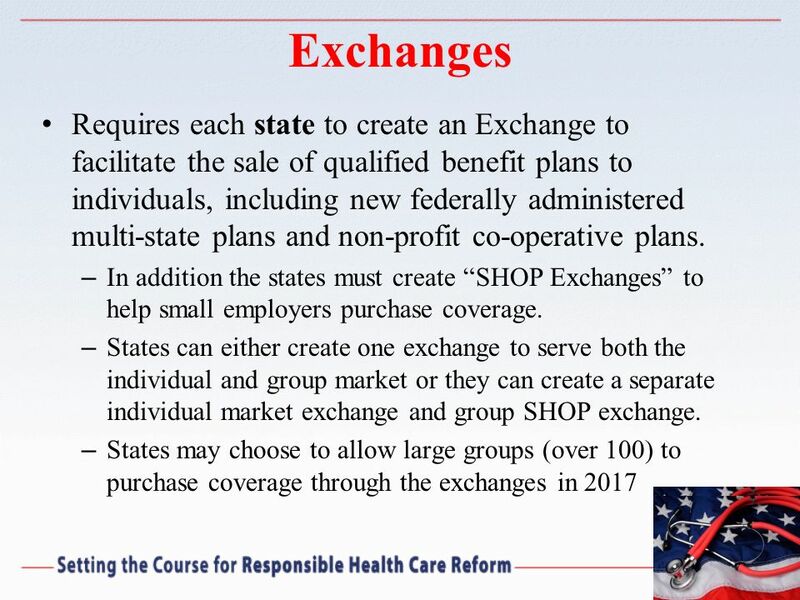 26 Exchanges HHS also announced the first phase of grants for states to begin working on their state-based health insurance exchanges. 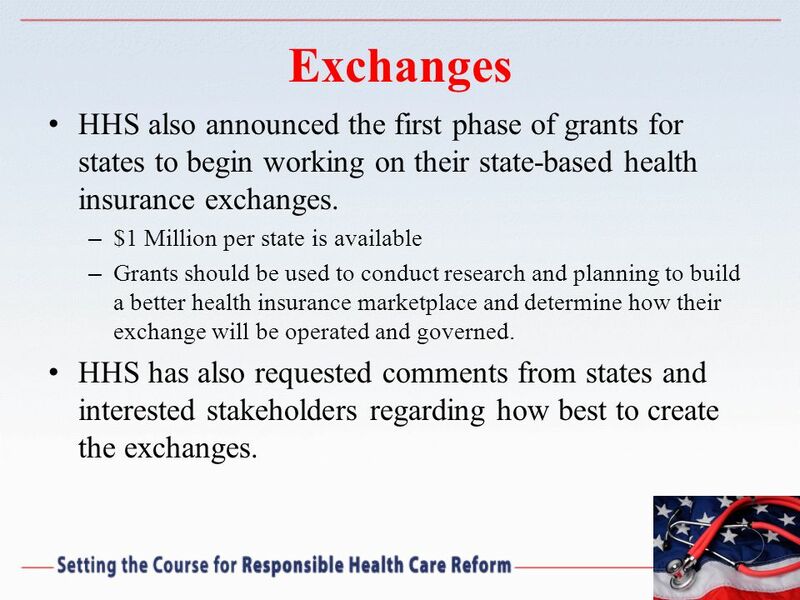 $1 Million per state is available Grants should be used to conduct research and planning to build a better health insurance marketplace and determine how their exchange will be operated and governed. 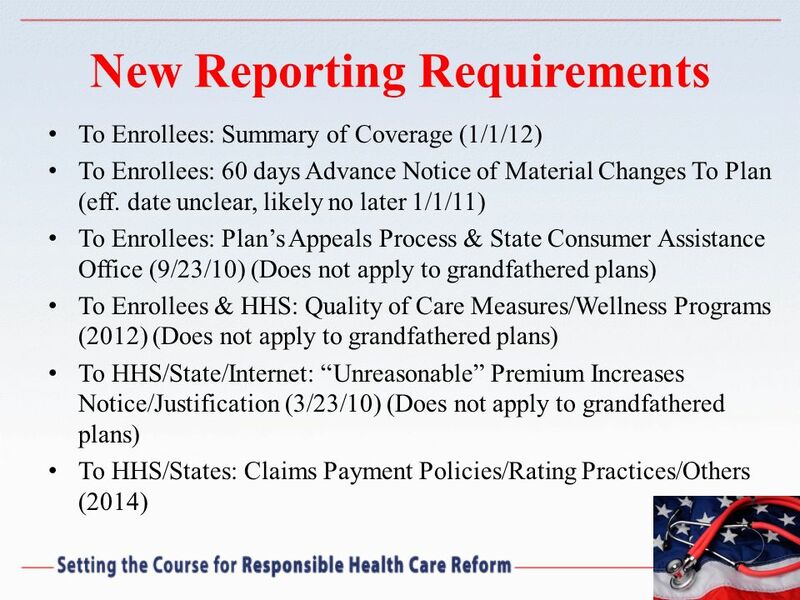 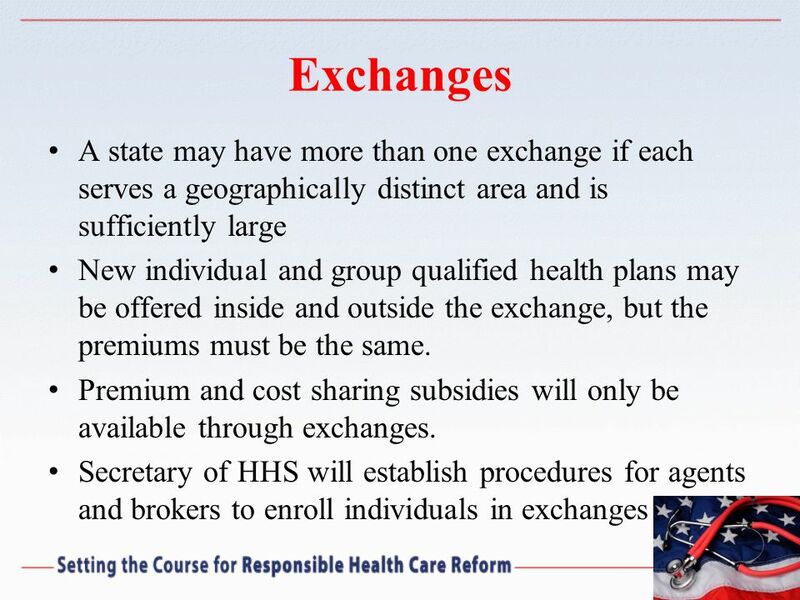 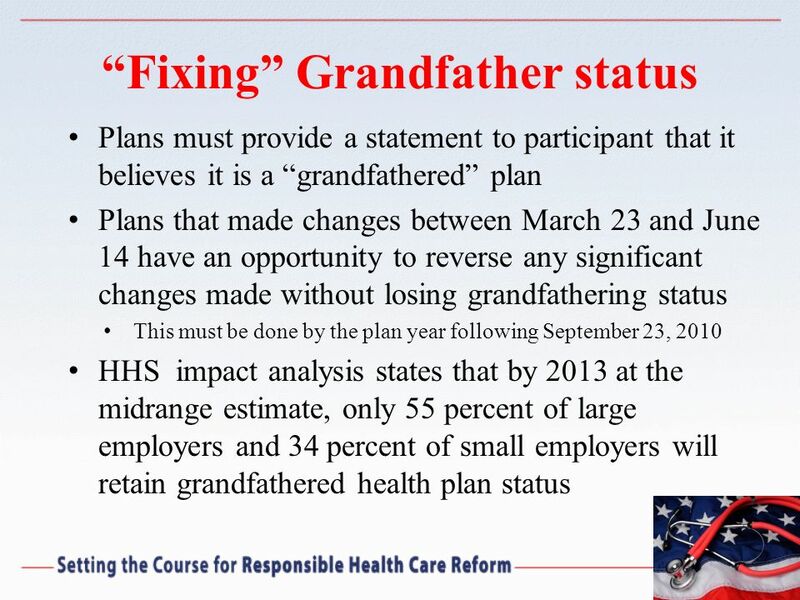 HHS has also requested comments from states and interested stakeholders regarding how best to create the exchanges. 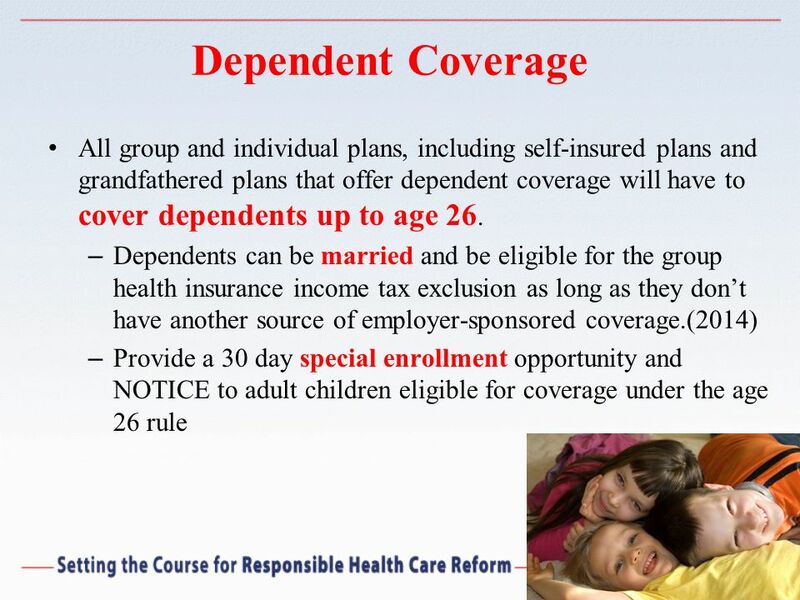 28 Individual Mandate Requires all American citizens and legal residents to purchase qualified health insurance coverage. 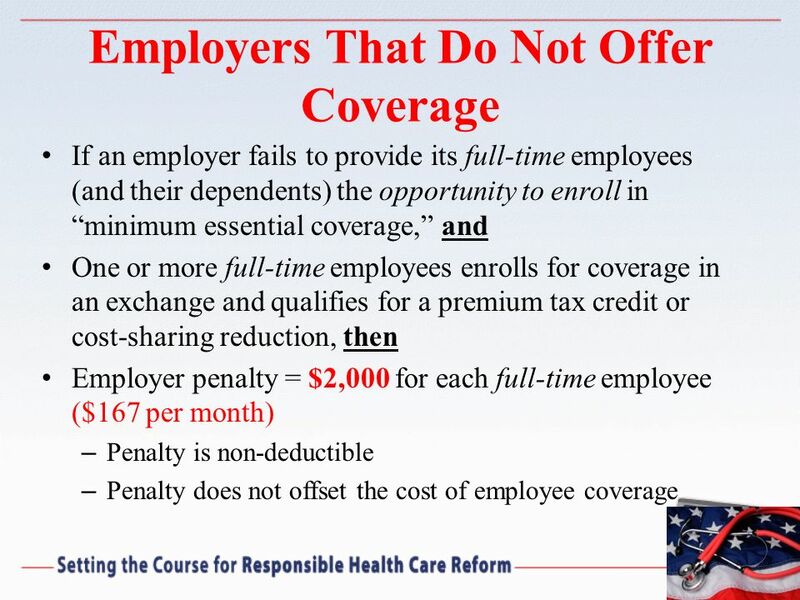 Penalty for non compliance to either a flat dollar amount per person or a percentage of the individual’s income, whichever is higher. 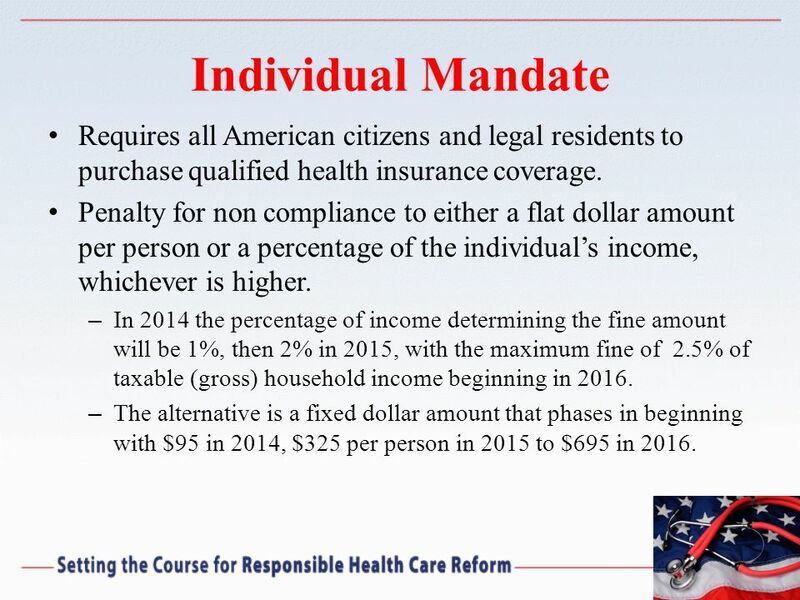 In 2014 the percentage of income determining the fine amount will be 1%, then 2% in 2015, with the maximum fine of 2.5% of taxable (gross) household income beginning in 2016. 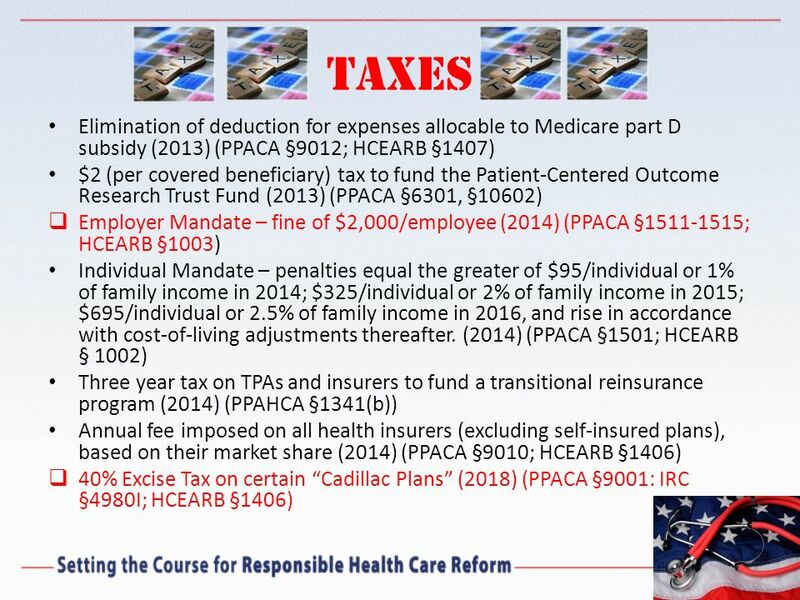 The alternative is a fixed dollar amount that phases in beginning with $95 in 2014, $325 per person in 2015 to $695 in 2016. 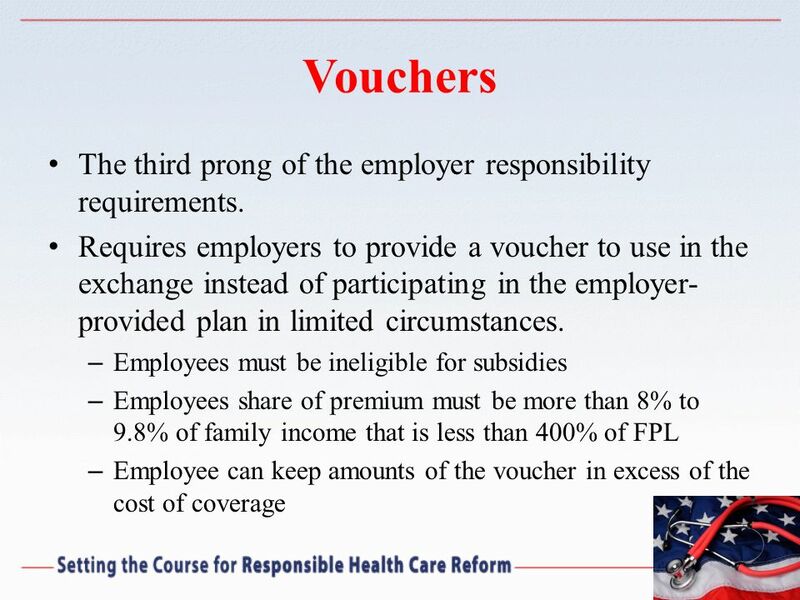 33 Vouchers The third prong of the employer responsibility requirements. 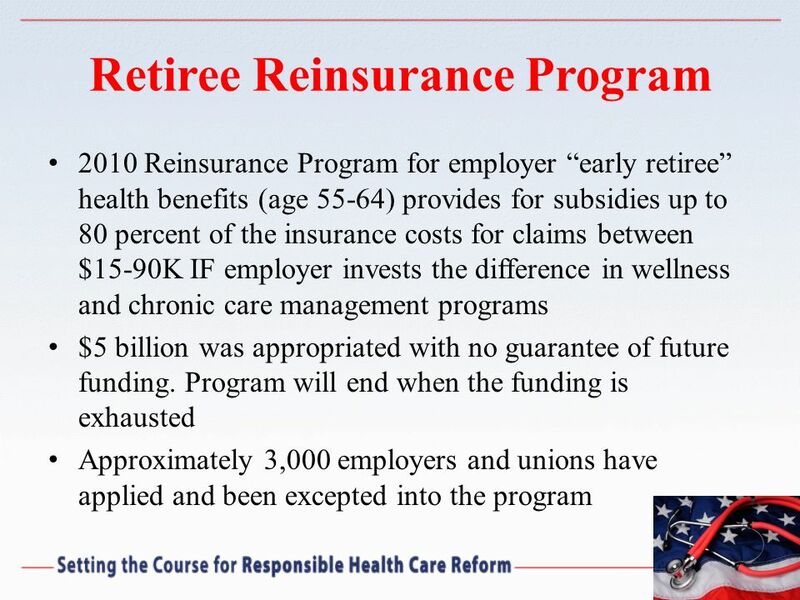 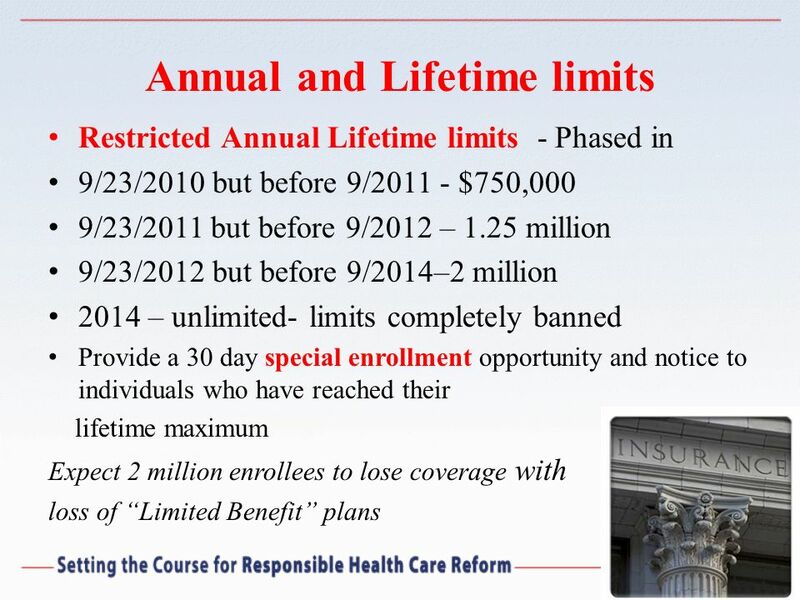 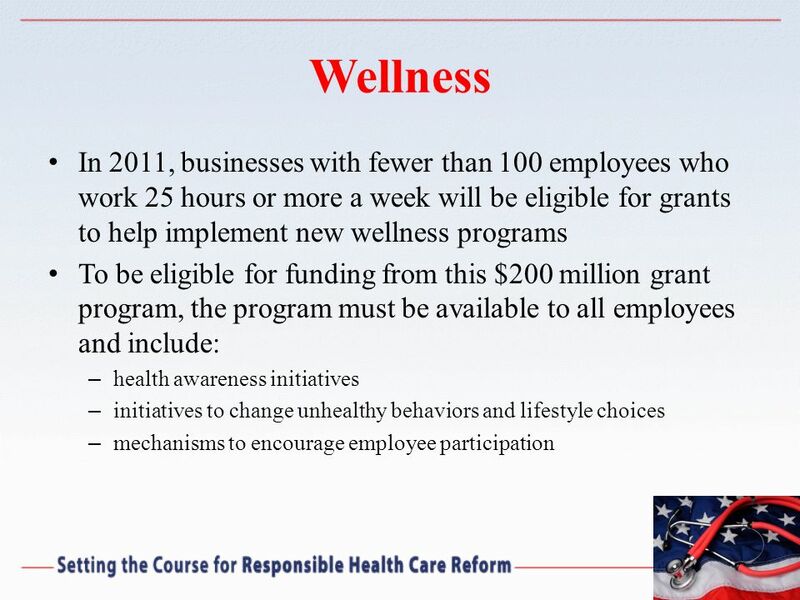 35 Wellness Starting in January 1, 2014, employers with “bona fide wellness programs” will be allowed to provide discounts of 30% of the cost of individual or family insurance premiums. 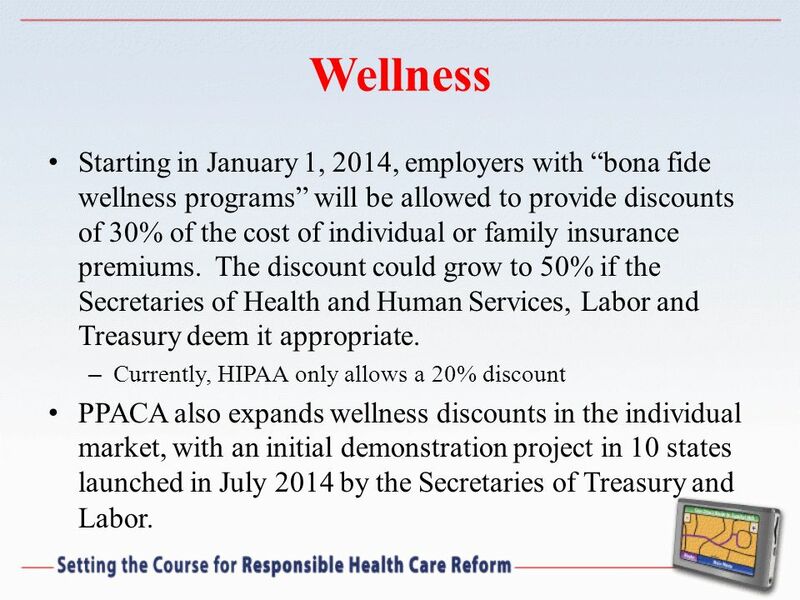 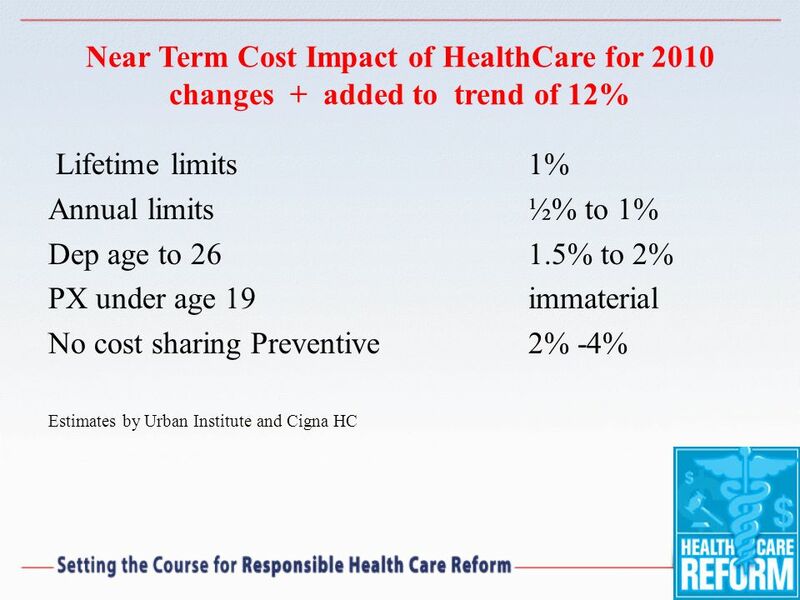 The discount could grow to 50% if the Secretaries of Health and Human Services, Labor and Treasury deem it appropriate. 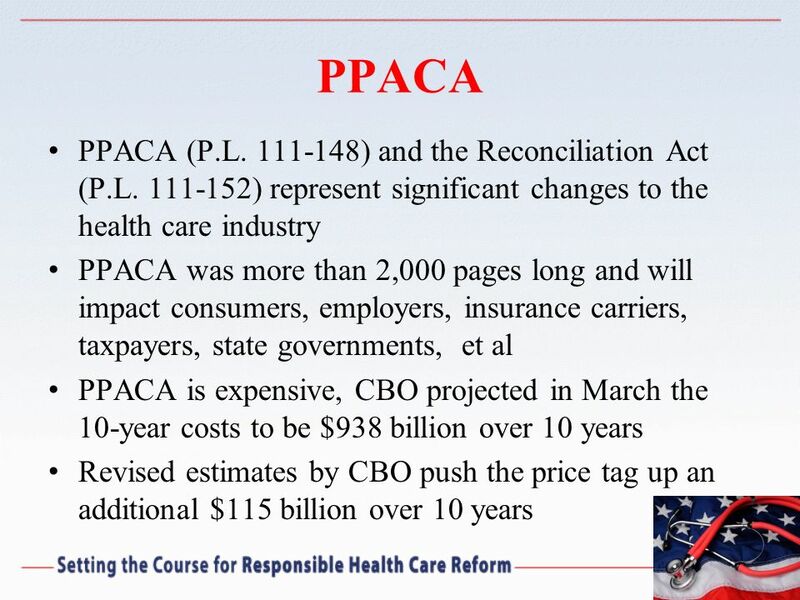 Currently, HIPAA only allows a 20% discount PPACA also expands wellness discounts in the individual market, with an initial demonstration project in 10 states launched in July 2014 by the Secretaries of Treasury and Labor. 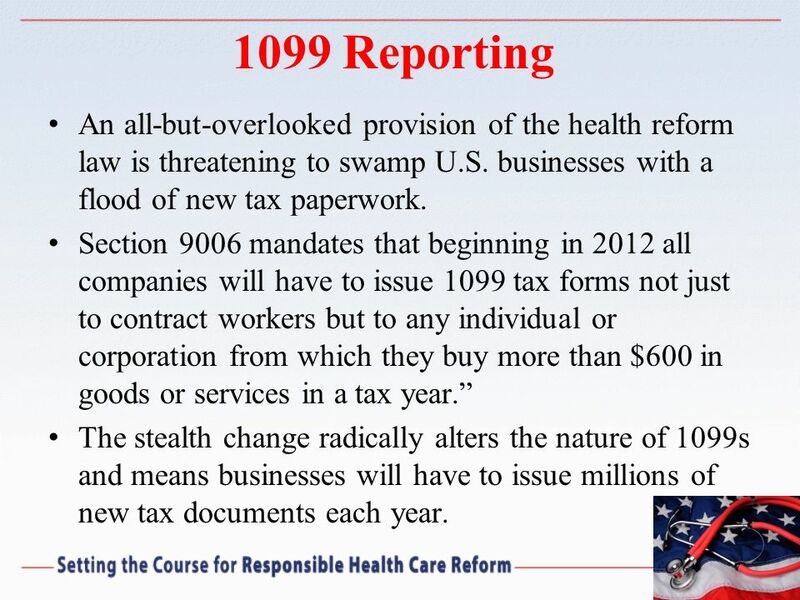 39 1099 Reporting An all-but-overlooked provision of the health reform law is threatening to swamp U.S. businesses with a flood of new tax paperwork. 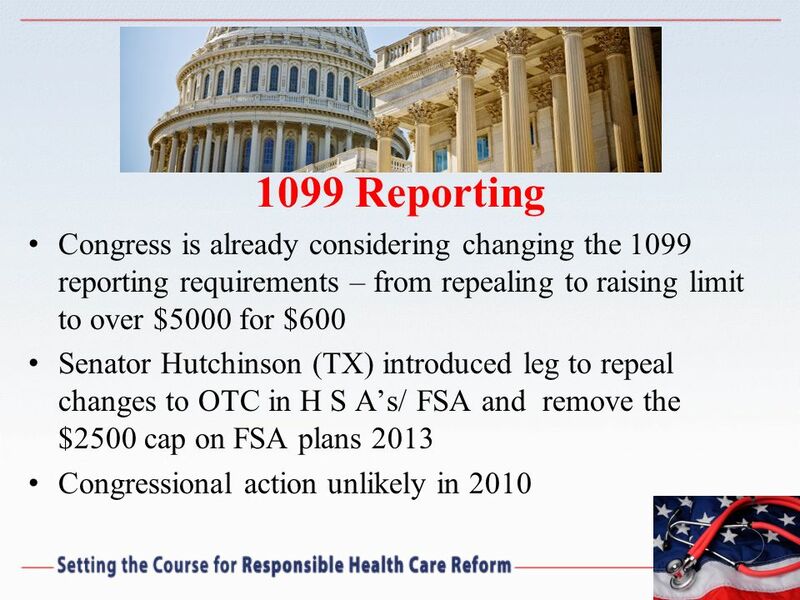 Section 9006 mandates that beginning in 2012 all companies will have to issue 1099 tax forms not just to contract workers but to any individual or corporation from which they buy more than $600 in goods or services in a tax year.” The stealth change radically alters the nature of 1099s and means businesses will have to issue millions of new tax documents each year. 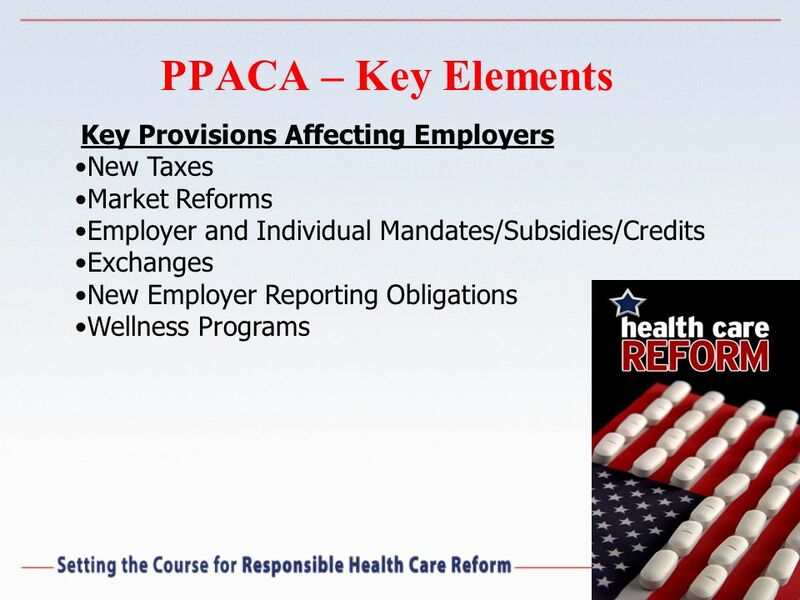 Download ppt "Implementation Of The New Health Reform Laws Northern Nevada Association of Health Underwriters Reno, NV November 1, 2010." 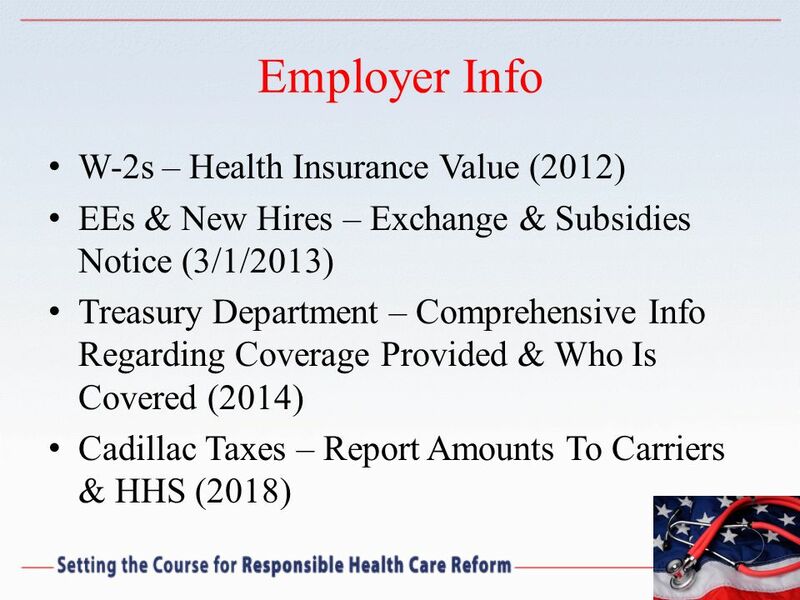 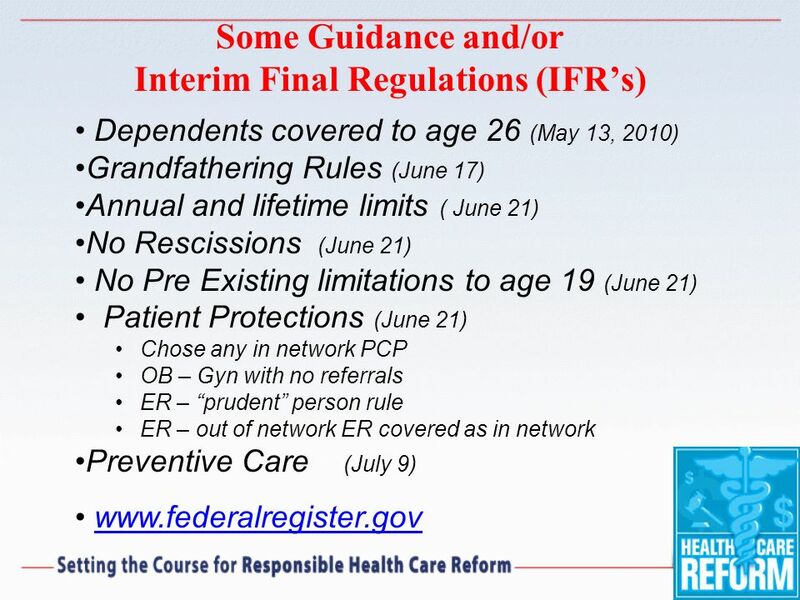 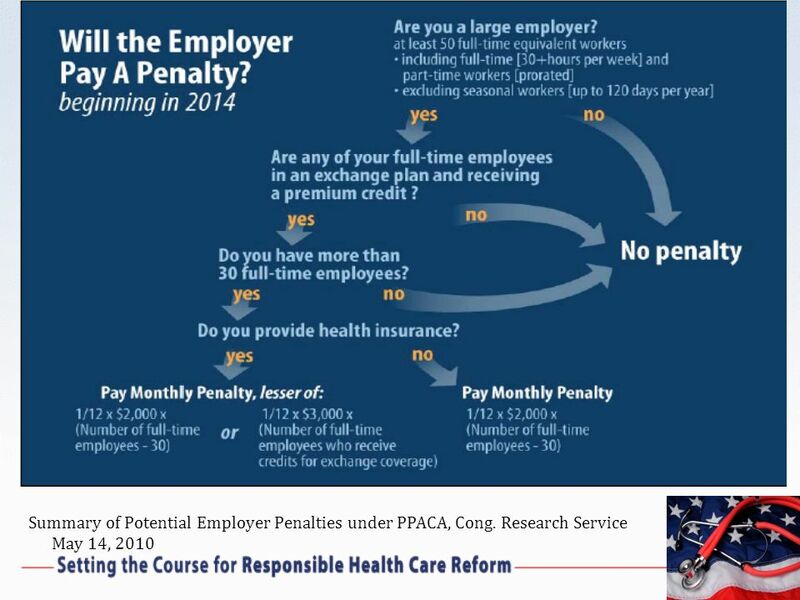 Sponsored by : Health Care Reform – What Employers Need to Know Now (Version 5.0) Scott A. Sinder. 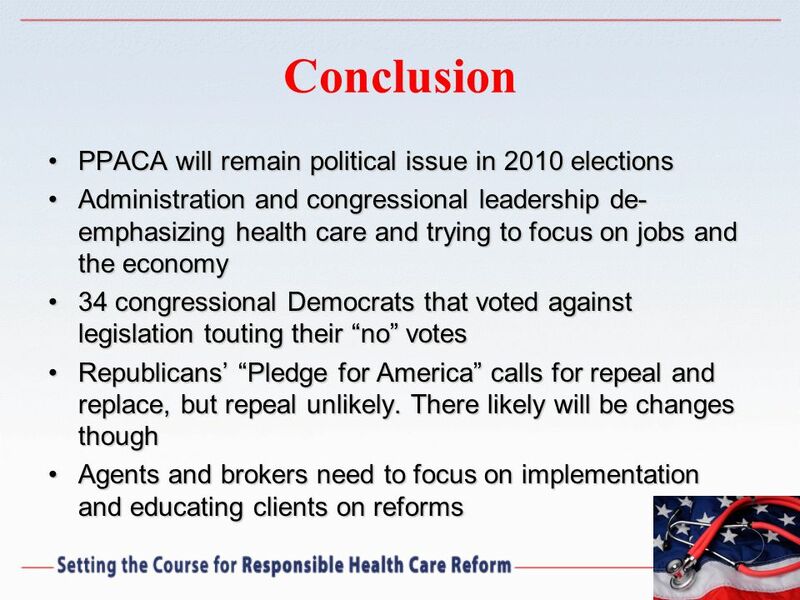 Realizing Health Reform's Potential Webinar: Health Insurance Exchanges and the Affordable Care Act of 2010 November 4, 2010 Panelists: Timothy Stoltzfus. 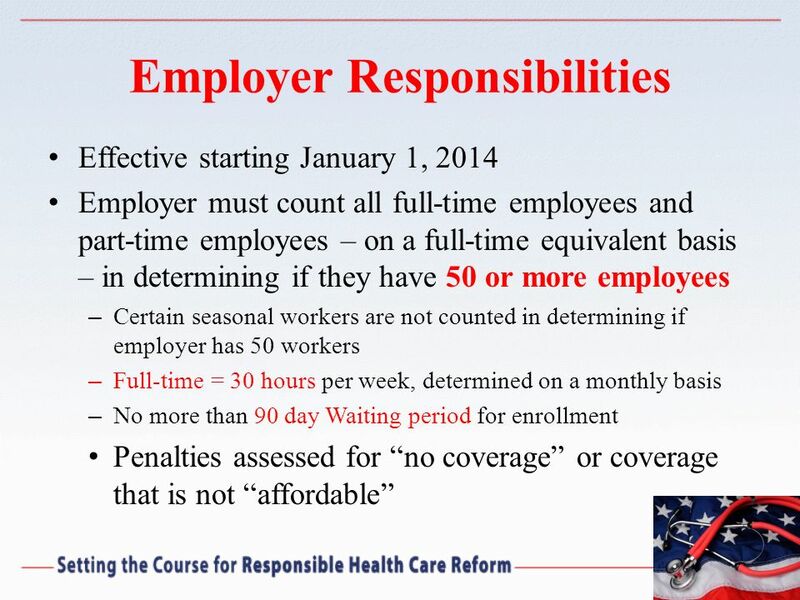 Robert E Goff. 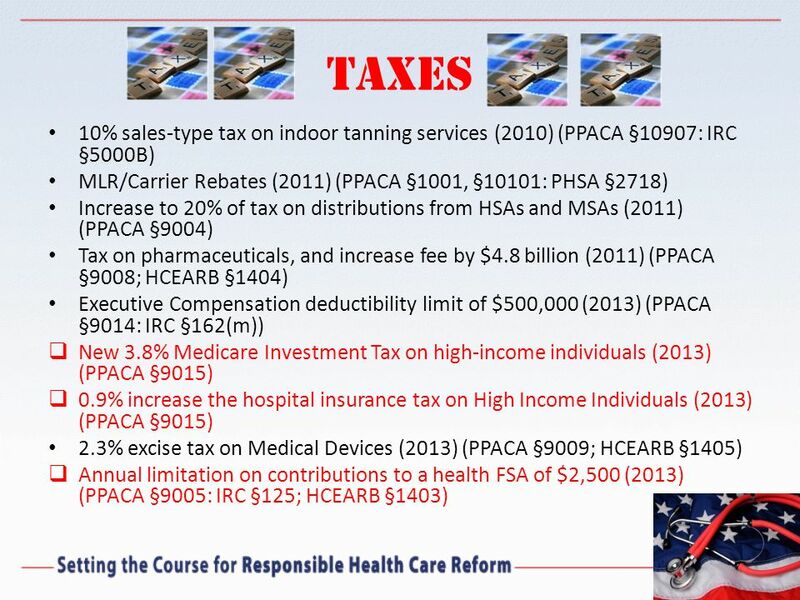 Small business tax credit Prohibitions against lifetime benefit caps & rescissions Phased-in ban on annual limits Annual review of premium. 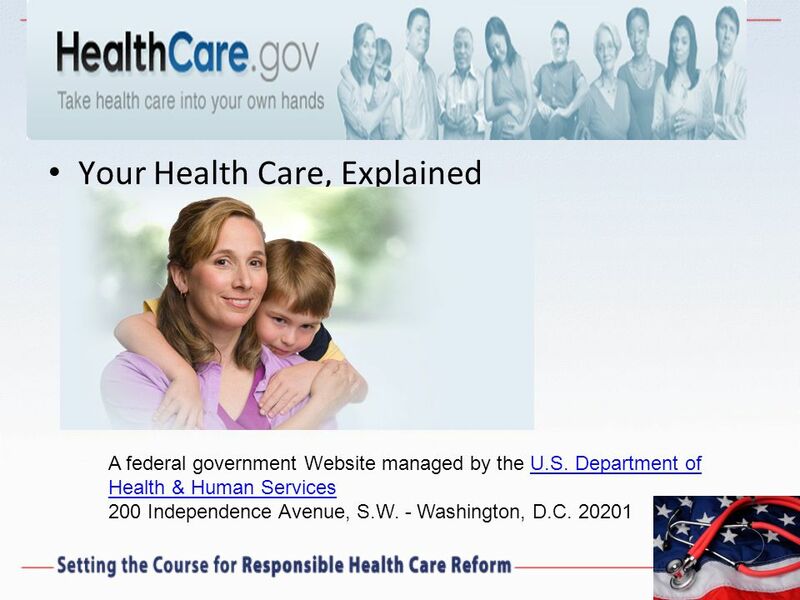 1 Office of Consumer Information and Insurance Oversight (OCIIO) OCIIO Office of Oversight Office of Insurance Programs Office of Consumer Support Office. 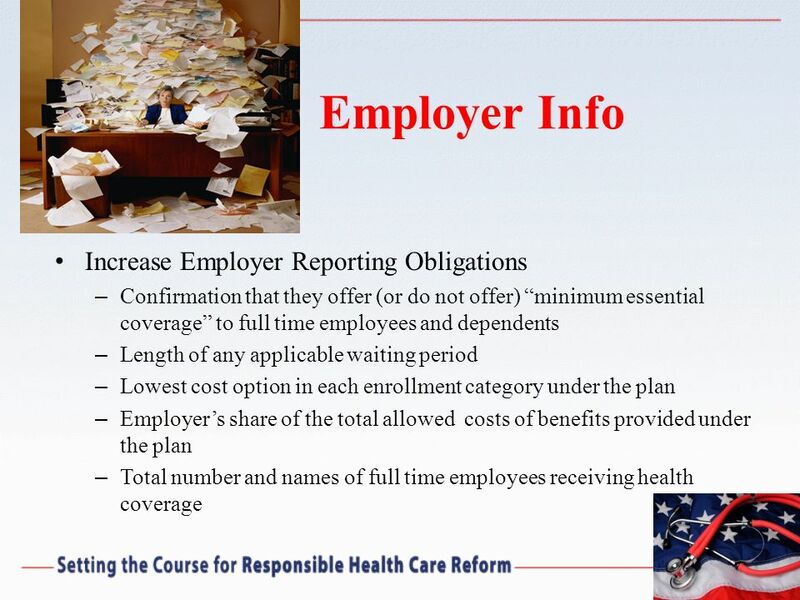 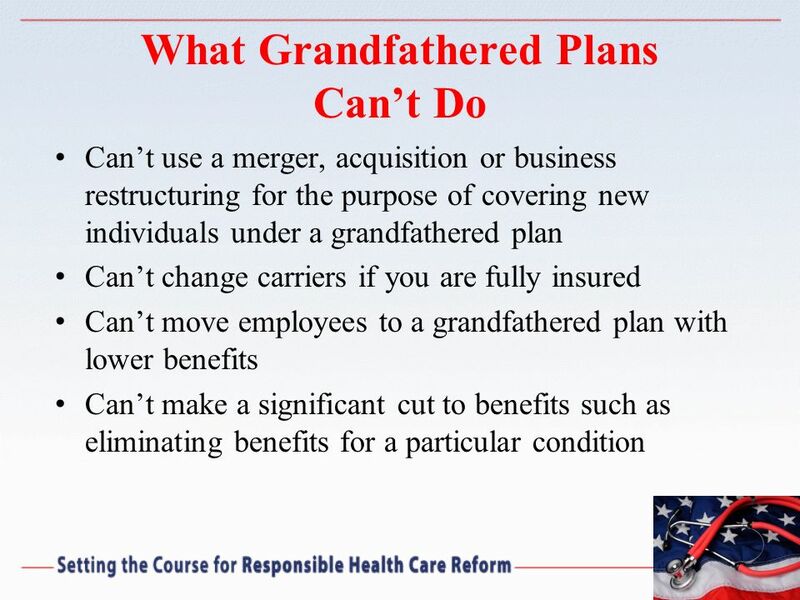 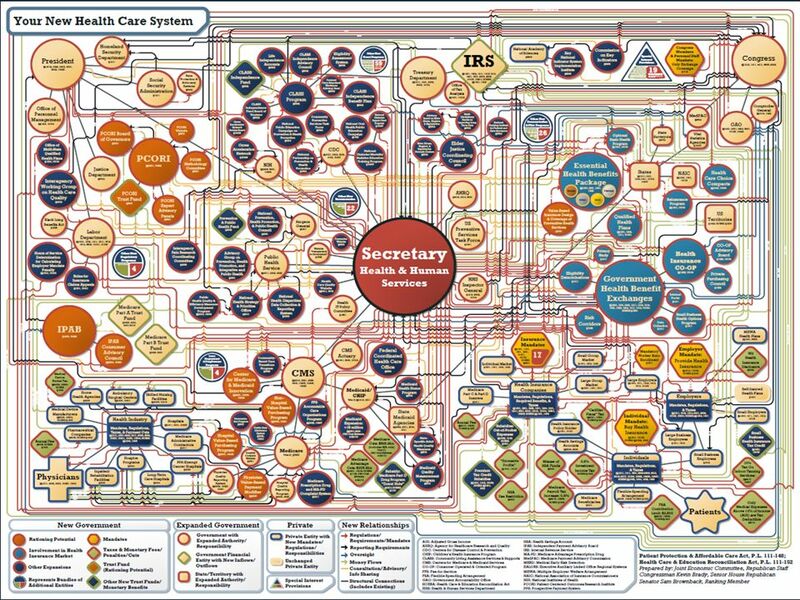 I'm Not In The Health Care Business So How Will Health Reform Affect My Business? 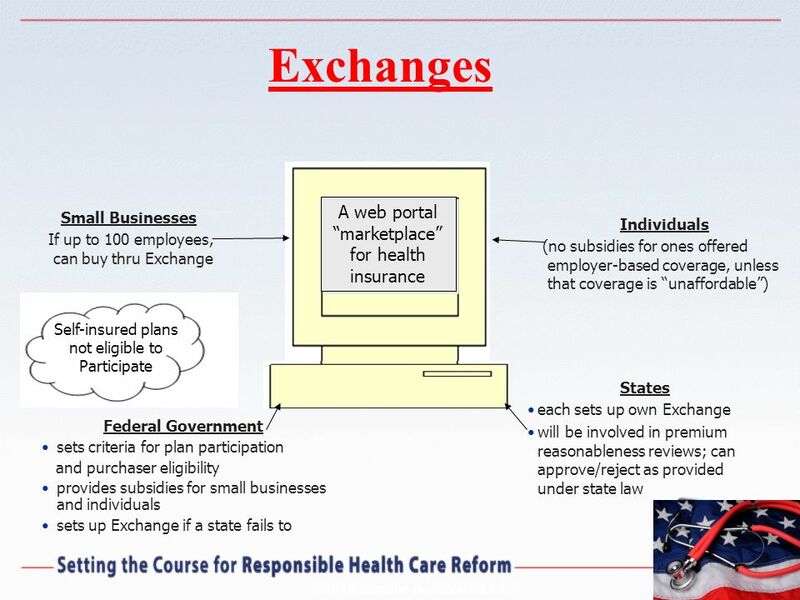 Live Webinar Presentation November 19, 2010 Erwin D. Kratz and Anne L.
The Changing Face of Health Insurance in the US. 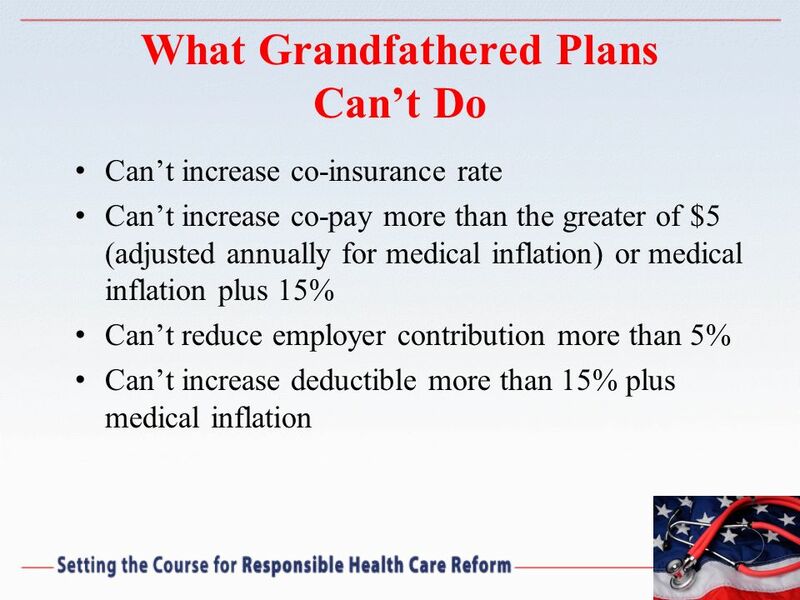 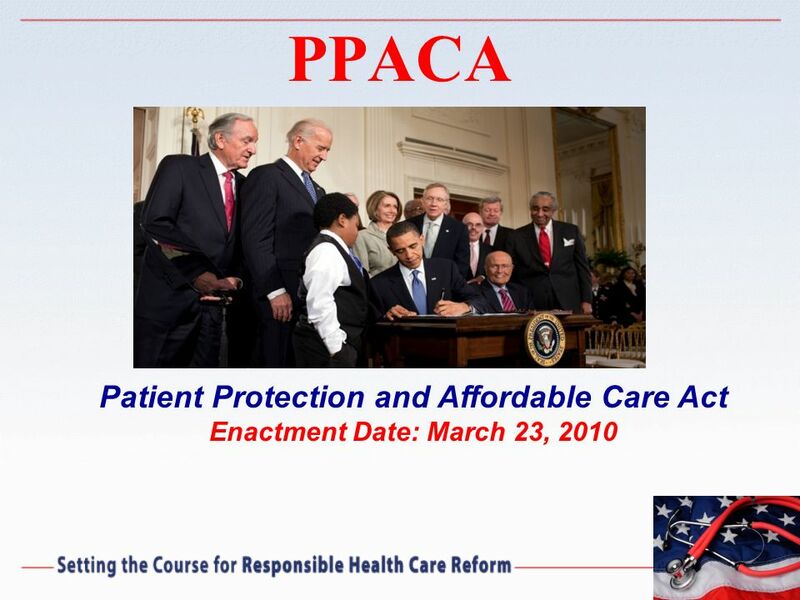 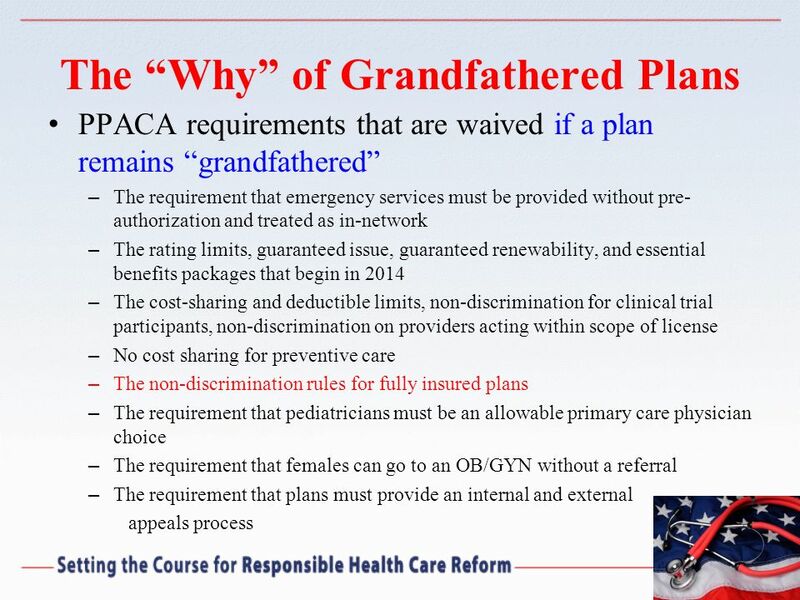 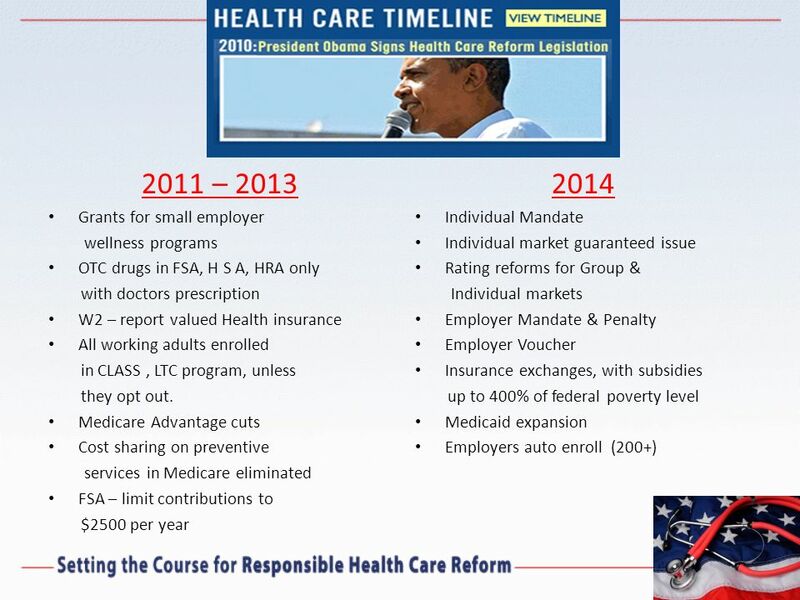 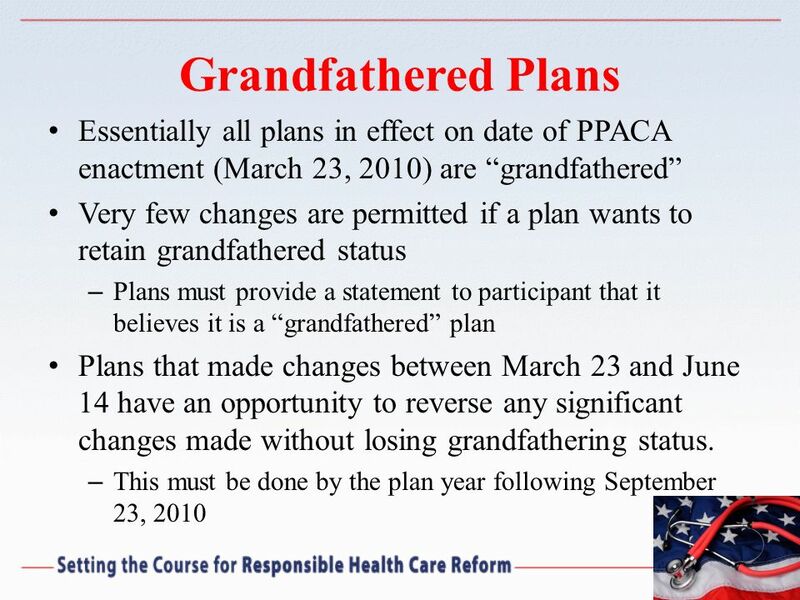 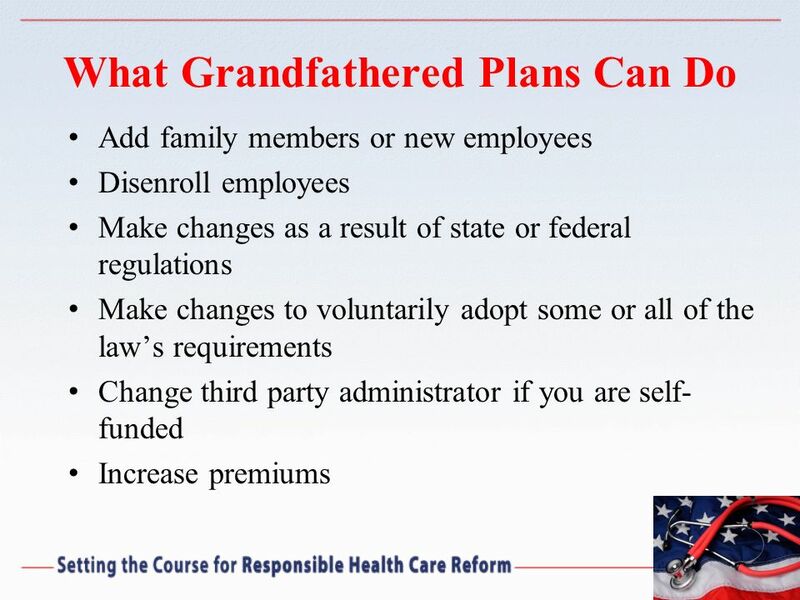 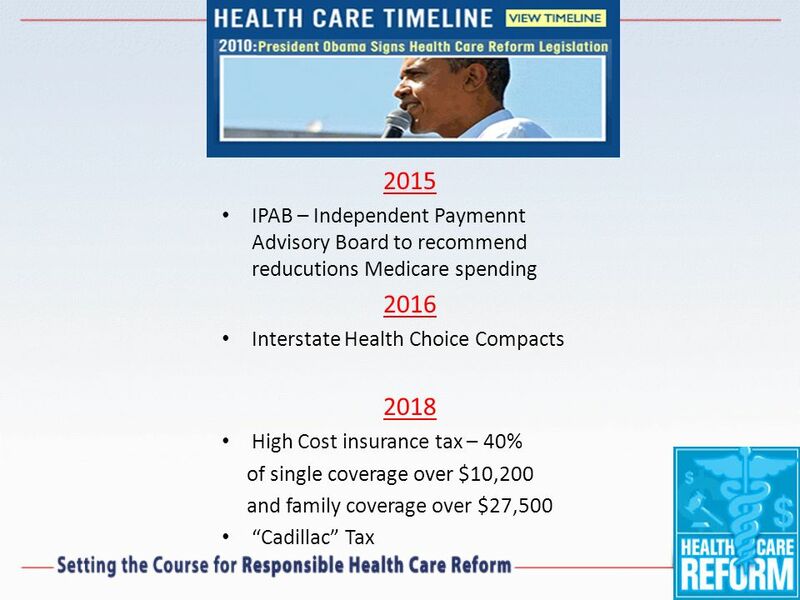  The Patient Protection and Affordable Care Act is enacted March 23, 2010 (PPACA)  Main Priorities. 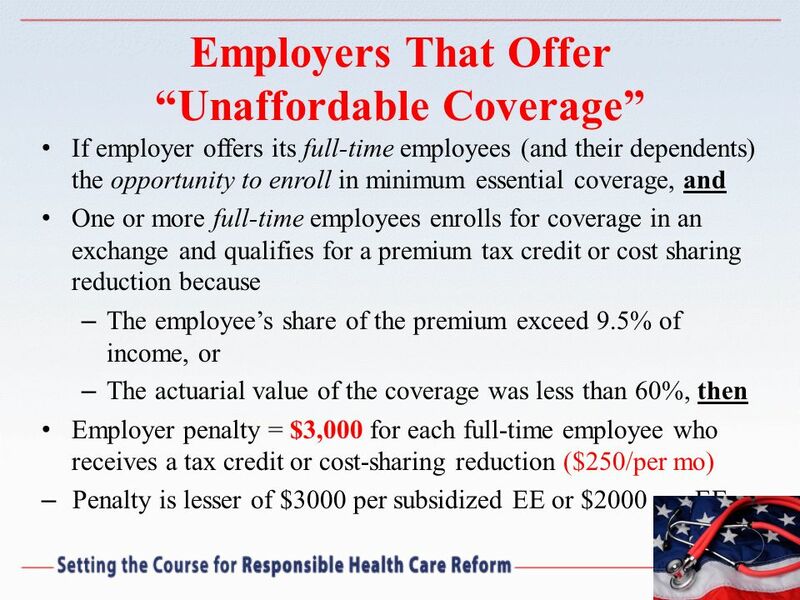 Obamacare and UC Students Heather Pineda, MPH Director - UC Student Health Insurance Plan. 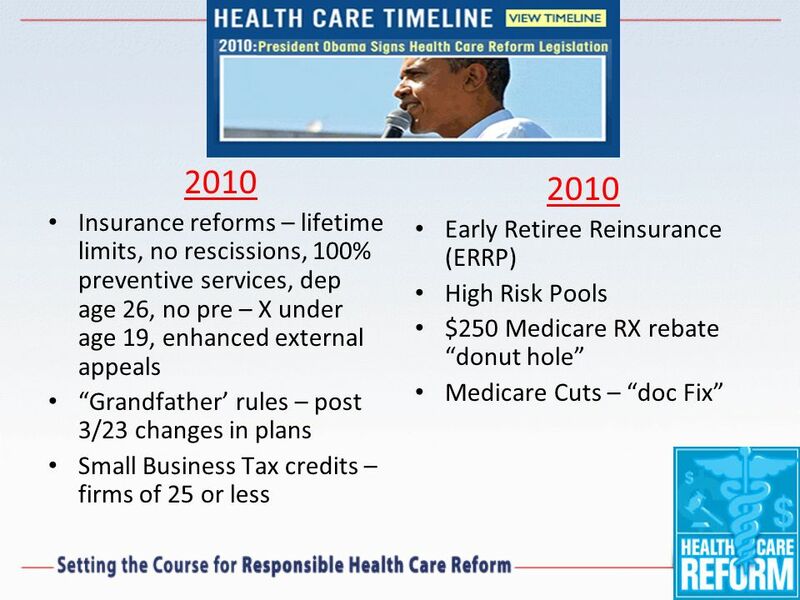 Making Health Care Reform Happen on the Ground: From Legislation to Implementation and Improvement 2010 Results International Conference June 20, 2010. 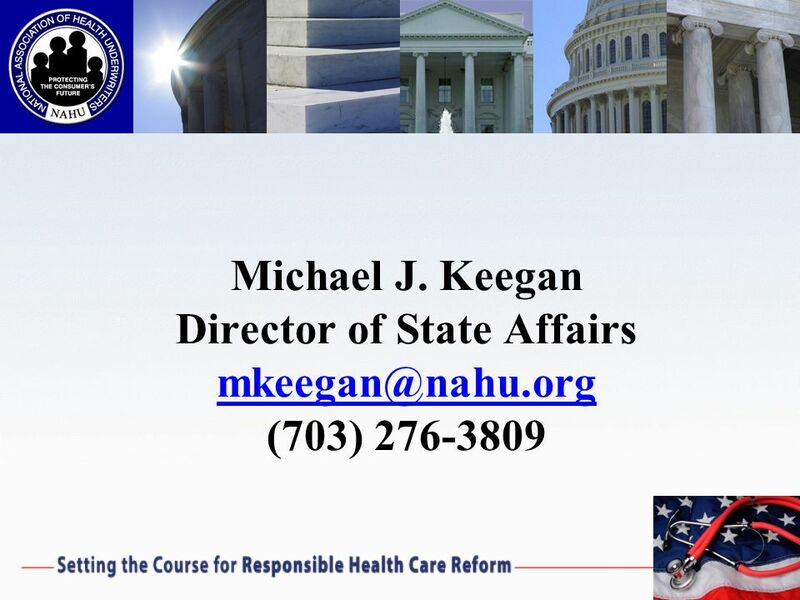 Healthcare Reform Benefit Consultants Northwest Plan Administrator “ Knowledge is Power in Benefit Management ” Quality Service Integrity Knowledge Support.